‘It’s the Truth, even if it didn’t happen’. Being fair to Sappho. 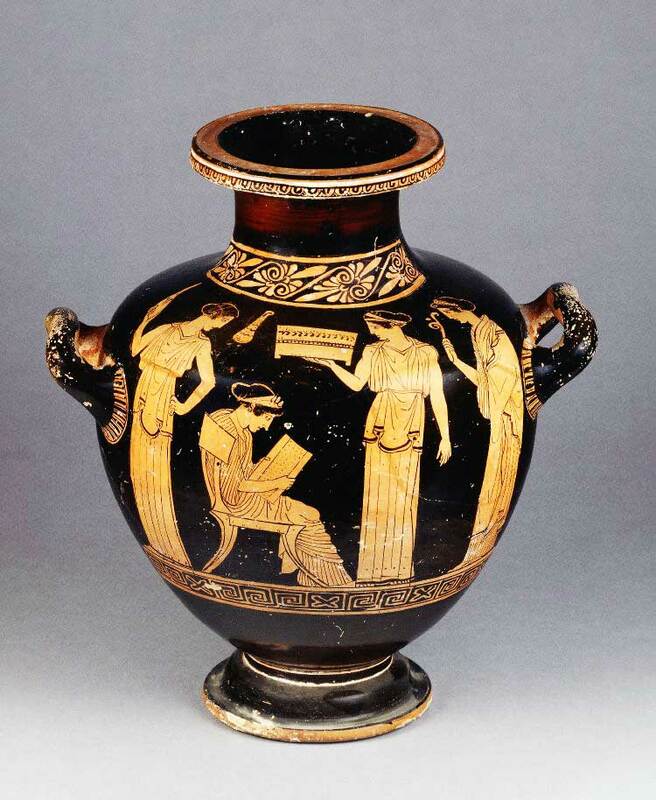 Sappho is the name of a bar for gay women on the island of Lesbos. In fact, the island owes most of its tourist trade to a 7th century (620-580-ish BCE) poet who composed songs about (among other things) love between women. Hers is one of the very few women’s voices to come down to us from antiquity. She’s had a rich history of celebrity and been given more changes of personality than Madonna and Bowie. She’s been claimed as a champion of women’s freedom and respect (gay and heterosexual), and been used as a term of abuse by their opponents and a focus for sexual disgust. She’s been cast as a passionate lover of women and a hysterical predator of men. This can hardly be what she had in mind when she told her daughter not to mourn: ‘it’s not right to sing funerary songs in the house of a poet’. She was confident that her fame, through her work, would survive her, just as Homer’s had, through a strong oral tradition. Not only was she well respected during her lifetime, but her songs were adopted by men for their drinking parties and were popular throughout the fifth century and beyond. All this making free with a girl’s reputation has risen out of the tiny, elusive body of work which remains. It started in classical times with an invented name for her husband: Kerkylas of Andros which translates as Prick from the Island Man. She is also said to have thrown herself off a cliff for love of Phaon (a god, by the way), an early attempt to straighten out her sexuality. Celebrities attract this kind of thing. Only about 200 lines from a possible 12,000 survive and these are fragments, shards. Songs which were sung at festivals, in processions, at weddings or parties have been reduced to flimsy, tantalising haiku. The original texts are sparrow footprints on snow, a sprinkling of letters and syllables. Even near-complete verses look like beginner’s knitting, words running tight together without any gaps and then seductively dropping a letter here, a syllable there, leaving the way open for endless disputed completions by scholars. Tracing her texts back through time, we are halted at the third century AD, some 700 years after her death. We know there were nine papyrus rolls of her poetry – copies of copies of memorised songs – in the library at Alexandria, one roll containing 1,320 lines. Some more material is preserved in an encyclopaedia called the Suda, created in Byzantium in the tenth century AD. The most complete verses survive because they have been quoted by admiring male writers as examples of perfection. Still, the trail isn’t quite cold. In 1892 two English archaeologists collected papyrus shreds from an ancient rubbish heap about 120 miles south of Cairo at Oxyrynchus. They sent them back in Huntley and Palmer biscuit tins and crates of these ink traces rest in the Ashmolean museum, still undeciphered. 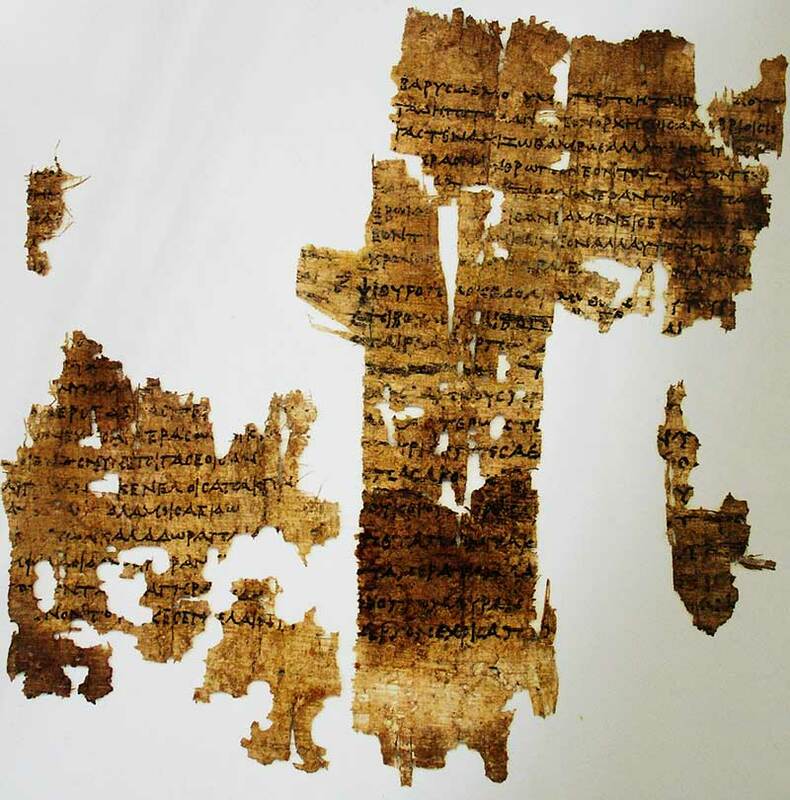 They include two fragments by Sappho and recently the scholar Dirk Obbink deciphered a verse from shreds of Egyptian papyrus saved from the wrapping round a mummy. It could indeed have been composed in the grip of passion for another woman, or she could be subverting a type of song sung by men: it’s clear from other fragments that she is talking about the art of poetry. She might even be composing a song for a man or imagining a relationship between courtesans at a male drinking party. Any or all of these may be true and in three condensed verses she has given us a rich vocabulary of imagery for describing desire, jealousy and obsession. Arguably, it isn’t the circumstantial truths which are important, but the truth of the feeling she describes, the skill with which she plays with different realities, and, of course, the beauty that is lost in translation: “the charm comes from the sounds themselves which are combined in special ways, interwoven with care and skill” says one of her admirers (Dionysus of Halicarnassus). To hear a recital look for Edith Hall on YouTube. Her Muses and her girlfriends entwine their hair with flowers, anoint hair and skin with myrrh and frankincense, dress in soft embroidered linens from Lydia: it’s a sense and sensuality-filled imaginative space in which she explores desire, loss, delight, awe, loneliness and growing old, and which shows subtle irony and humour. All this in 200 broken lines. The descriptions are so profoundly personal it is hard not to experience them as a literal truth, but this is poetry, not a diary, and Sappho was an extremely sophisticated woman. I can’t imagine her appeal ever fading. Here is how Dirk Obbink described his decipherment of the mummy papyrus: ‘for three months, it was just me and a girl called Sappho. It was like being on an island with Marilyn Monroe’. Nicely said, but I hope this isn’t the limit of his romantic encounters. This entry was posted on 5 July, 2017 in homepage and tagged Sappho, Simone Witney. Bookmark the permalink.